Here at Haiku Gardens at Haleiwa Joe’s in Kaneohe, we offer exceptional wedding packages that feature the absolute best in vendor selection. These all-inclusive wedding packages leave no stone unturned, covering big decisions such as ministers and musicians as well as every little detail down to the floral arrangements. Of course all of these details will be well-captured by your photographer who is also included in your package. This Bride and Groom chose the Beloved Ke Aloha wedding package with an addition of a large chapel floral piece that can also be used as an astonishing centerpiece for the bride and groom’s table. 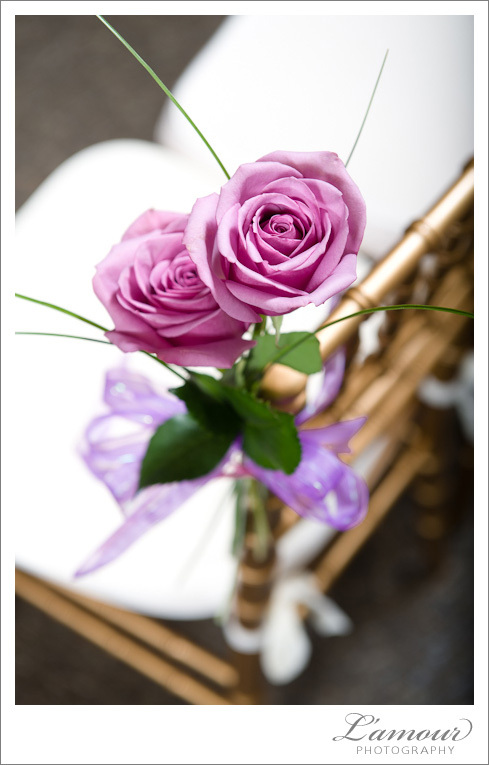 Bride Carrie chose this elegant arrangement of Lavender Roses, Wax Flowers, and Heather for her Oahu Wedding Ceremony. 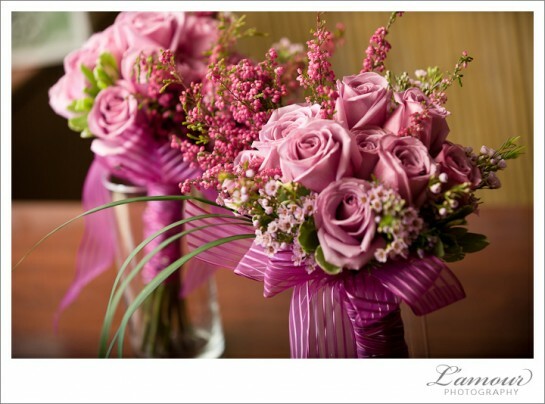 Bouquets, centerpieces, and floral decorations throughout your ceremony and reception are all handpicked by you. Our Wedding Ceremony packages don’t limit your choices, they simply give you all of our options to choose from. 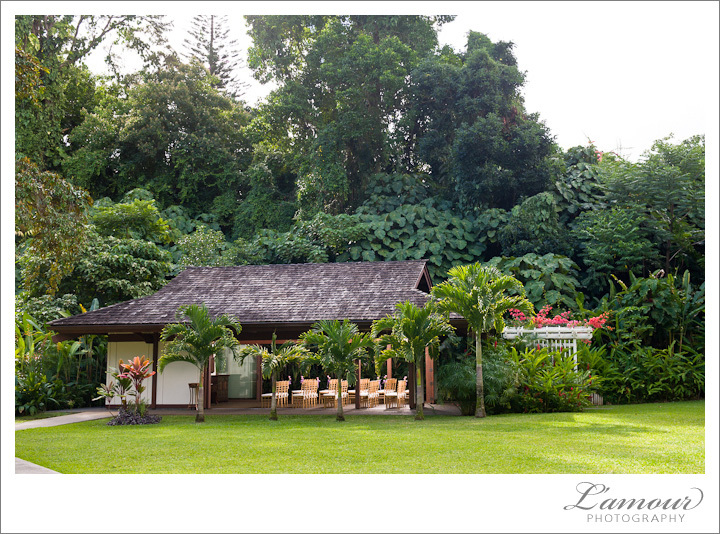 This Bride opted to use the Tahitian Chapel located on Haiku Garden’s grounds for her ceremony, just one of the many location options for your nuptials! 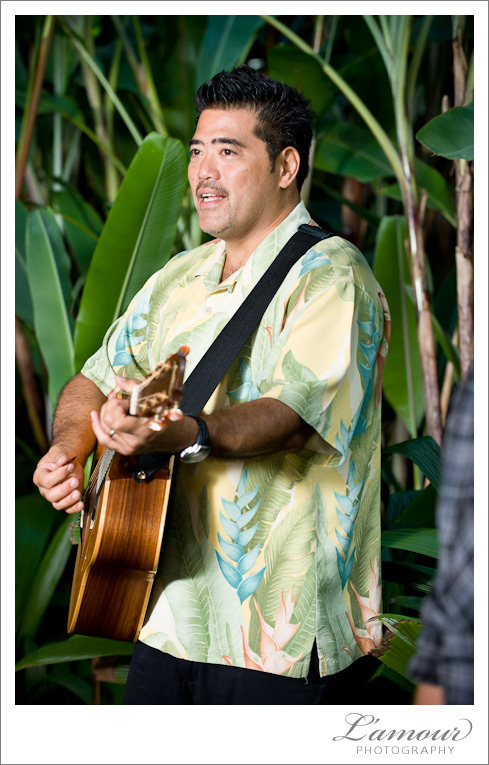 No Oahu Wedding Ceremony is complete without live music serenading you and your guests during the wedding! 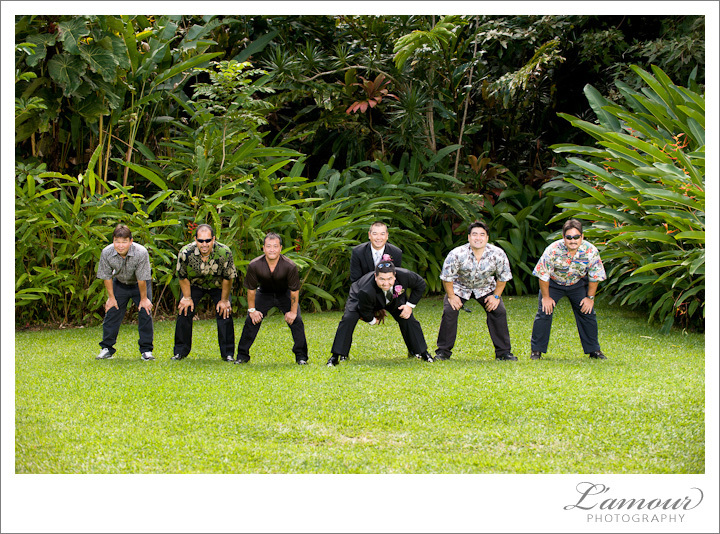 Haiku Gardens wedding packages have a wide selection of performers for all musical tastes. Guitarist Ellsworth Simeona is seen here giving this ceremony the ultimate romantic ambiance. 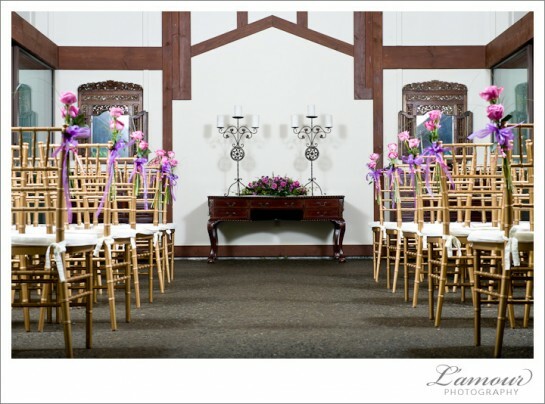 We are here to put you at ease on your special day, including fully staffing your Oahu Wedding Ceremony with dedicated professionals. So relax and enjoy as your Minister performs an unforgettable ceremony and the Haleiwa Joe’s restaurant staff caters unbelievable meals.  Be sure to have lots of fun with the photography. Brides and Grooms can share their ideas and visions with our artistic photographers to ensure that the right mood is captured for your memories. 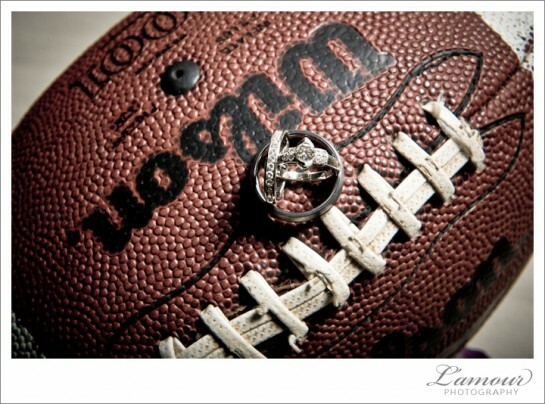 L’amour Photography did a great job capturing groom Ryan’s vision. Wonderful families coming together in a celebration of love is truly a thing to celebrate during your Oahu Wedding Reception. 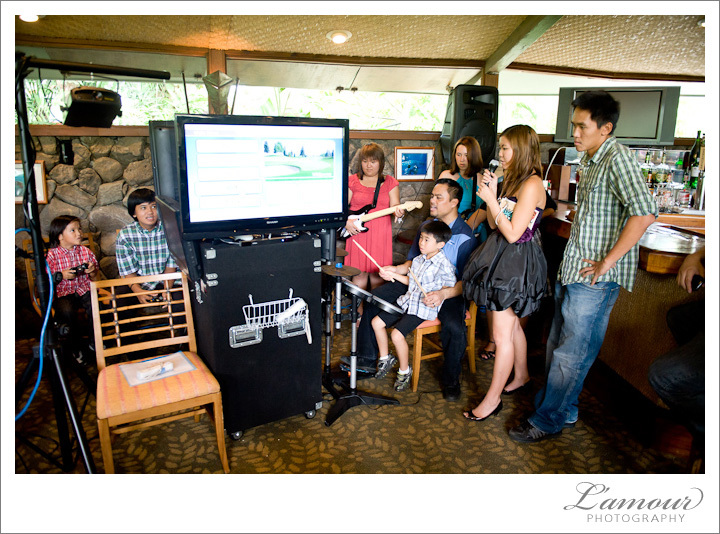 We can provide just the right amount of entertainment to cater to the different age groups and keiki amongst your wedding attendants.  We insure that the personal details that are important to our Brides and Grooms are incorporated in their wedding.  It’s all about making your experience just right. Congratulations Bride Carrie and Groom Ryan!